We Got This Covered - Robert Yaniz Jr.
Quick money always ends in a big trouble! It's one of those films with aimless narration. 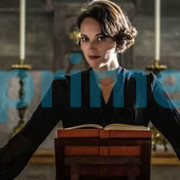 Indeed, it has a nice cast and characters with the basic storyline, but that did not expand and explored well as it should have been. At least the pace of the narration looked fine. Some charactersQuick money always ends in a big trouble! It's one of those films with aimless narration. Indeed, it has a nice cast and characters with the basic storyline, but that did not expand and explored well as it should have been. At least the pace of the narration looked fine. 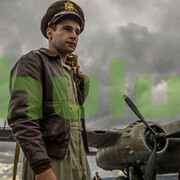 Some characters looked unnecessary, and so a couple of scenes. If these all were managed, then still it could have been a decent film. Because since it is an action- adventure, they did not generate those crucial parts like the stunts and dialogues related to the gangster thing to turn it a better film in its kind. 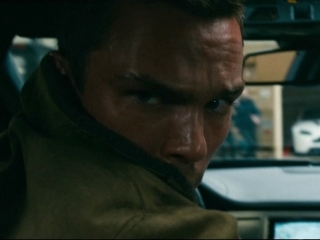 Eran Creevy's entertaining Collide is a briskly paced B-action thriller that features gripping car chases and fight scenes despite its familiar plot and distinctive blend of over-the-top villains and bland protagonists. 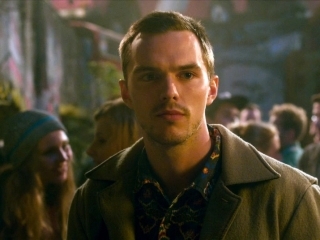 A girl (Felicity Jones) needs a new kidney, his guy (Nicholas Hoult) is ready to do anything to get the money needed. 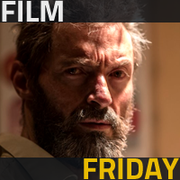 So he gets back to his old criminal life, getting stuck between feuding gangsters (Anthony Hopkins, Ben Kingsley). 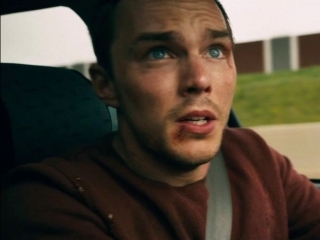 "Collide" is functional, fast-paced and sometimes fun, ifA girl (Felicity Jones) needs a new kidney, his guy (Nicholas Hoult) is ready to do anything to get the money needed. 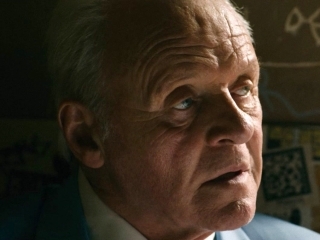 So he gets back to his old criminal life, getting stuck between feuding gangsters (Anthony Hopkins, Ben Kingsley). 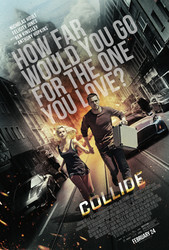 "Collide" is functional, fast-paced and sometimes fun, if ultimately uninvolving actioneer. I have mostly positive things to say about it althought the result is not good enough to earn a recommendation. 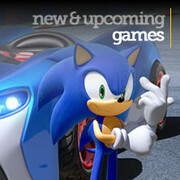 There will be a lot of shooting, punching and fast cars to satisfy the genre fan who just wants to see something new. 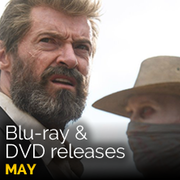 The movie also has legendary actors Kingsley and Hopkins together on screen for the first time. And the young stars will not disappoint. 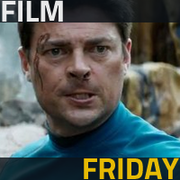 But the screenplay is so sloppy that it's hard to stay invested. Firstly I didn't quite buy the main story arc of young petty thief outmaneuvering two veteran criminals with small armies, especially because it was done the cheapest way possible (sudden twists whenever convenient for storytellers). I also didn't buy the young hero as a guy never making mistakes or even getting hit hard, although he was constantly hunted by men who work as killers, and have a lot of shooting experience. Also, the story sits uncomfortably between two chairs, being neither serious enough nor tongue-in-cheek enough. You can't take it as a top-shelf actioneer, and it's not quite a flamboyant eurotrash either (many of the Jason Statham movies). As result, some of the stuff works (the beginning, action scenes), some not. Story becomes progressively more stupid, and Hopkins and Kingsley playing "colorful" gangsters is like a ham-fisted parody of their roles in earlier, better movies. At least young stars are doing good work. 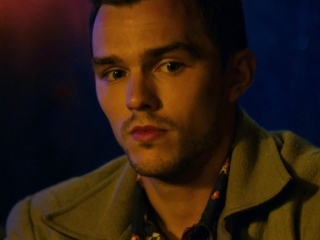 Jones is cute enough to justify all this punching and shooting, and it's always good to see Hoult ("About a Boy", the newest "Mad Max", Hank / Beast in "X-Men") in a role which doesn't serve as just a window dressing. Generally a waste of talent. Good actors in a not so good movie. Unbelievable and preposterous. The targeted audience must be grammar school boys.